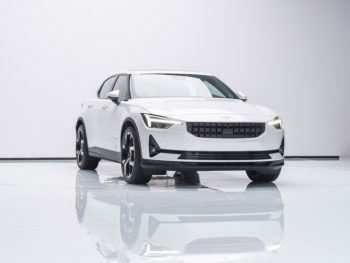 Polestar has confirmed its Polestar 2 electric five-door fastback will start production from early 2020 in Luqiao, Zhejiang Province. The Volvo offshoot said using the Luqiao production facility, which is owned by Zhejiang Geely Holding and operated by Volvo Cars, would bring synergies. The facility will produce Polestar 2 alongside other models from Volvo and Lynk & Co that share the same Compact Modular Architecture platform, including the XC40. Polestar 2 is the first fully electric car to be built on the modular chassis, which debuted on the XC40. Marked out as Polestar’s second production car and its first fully electric car and volume model, the Polestar 2 features two electric motors to give all-wheel drive plus a 78kWh battery, which will be integrated into the floor and available to charge through a connected digital solution, in-car and on mobile devices. Following the confirmation six months ago that the first-ever ‘Polestar Space’ dealership will be located in Oslo, Norway, Polestar has now confirmed that the first Polestar Space in China will open in the third quarter of 2019, with plans to open around 20 facilities spread between 11 Chinese cities during 2020 – in totally, the brand expects to open around 60 Polestar Spaces globally in the initial phase. The concept is intended to provide a radical alternative to traditional dealerships, designed to enable customers to test-drive cars and speak to Polestar experts without any sales pressure.